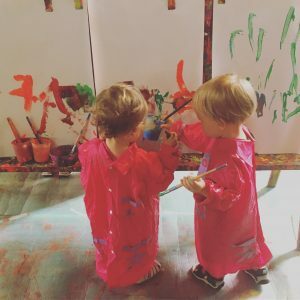 Creative Wiz Kids Parent/Carer toddler classes are packed with exciting art projects, both themed and free Art. Our classes celebrate the creativity of children and help develop your little ones social interaction and confidence. We are genuine arts programme run by genuine artists who interact well with kids! Come and be part of the “Creative Wiz Kids Experience!” and dress to get messy!